People always seem to complain that there are no Thanksgiving songs. 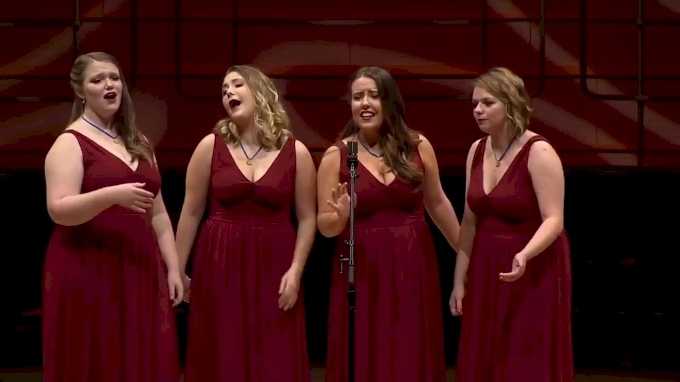 Granted, most of them were not written explicitly for Thanksgiving, but we know you need some a cappella to add to your holiday playlist! Without further ado, here are your top 10 Thanksgiving Tunes! Whether with your given or your chosen family, Thanksgiving is a time of togetherness, gratitude, and family. With that in mind, please enjoy Sweet Adelines’ Altoon Chorus performing the Sister Sledge hit at their annual "Singing With the Stars" show in November of 2010. Sometimes more important than the family you’re given is the friends you collect. Even though they don’t celebrate Thanksgiving in Germany, The Overtones definitely get the message in this Andrew Gold classic, known best as the Golden Girls Theme. Then there are those people who you just can’t get together with on this day of togetherness. This song is for you (and Frank Ocean fans). Also, there is literally no way to have an “aca top 10” without featuring VoicePlay! The reality is that whenever you bemoan that there are no good Thanksgiving songs, someone always brings up this Adam Sandler “classic” that is honestly just a (second) sequel to his Chanukkah Song. Although, we have to admit it’s fun nonetheless! Here’s another hit of idealism, hope, and change originally written and performed by Eric Clapton. Take six recently released a new album entitled “Iconic” that just hit No. 1! Harmony is how we’re going to change the world! A track featuring Peter Hollens and Home Free feels a bit like an embarrassment of riches, but we are certainly not complaining! This vocal staple finds its place on many occasions and for a day meant to reflect and give thanks, it’s a great addition to your playlist. Plus, it’s an absurdly incredibly sung track. Accent’s smooth vocal harmony and impeccable voice leading just can’t be matched. This is definitely one of their lesser-known songs and it’s brilliant just the same: a real Thanksgiving song! Accent is one of the few groups out there today releasing original music (check out their EP “In this Together”). How do you feel about the aesthetic effect choices? Here’s another actual Thanksgiving song written by Duwende. In 2007, Duwende released an album of completely original songs called “The Collective” that is a staple for any a cappella fan. If you haven’t heard it, what are you waiting for?! It’s difficult to discuss and celebrate Thanksgiving without acknowledging the colonialism surrounding it. While you ponder the holiday we’re celebrating, here’s Street Corner Symphony singing a Tears for Fears classic as their very first performance on the second season of NBC’s The Sing-Off. A classic through and through. Whether you know Boyz II Men from back in the 1900s or you met Shawn Stockman watching NBC’s The Sing-Off, this song continues to be a bop. Originally released in 1995, this “New jack swing” tune will brighten your day, every day. Which was your favorite? Who did we miss? Let us know on social media, and we wish you and your family an incredible Thanksgiving!